Australian Peter Fowler has passed the first gruelling test in a bid to joining compatriot Peter Senior in the lucrative Champions Tour in the U.S next year. 53-year-old Fowler, who now calls Auckland home, shot rounds of 72-70-70-69 to tie for second in Stage One regional qualifying at the Q-School at Bear Creek Golf Club in Murrieta, California, advancing to the Final Stage in Florida from November 13-16. Fowler currently sits third on the European Senior Tour Order of Merit behind 2012 dual Senior Major winner 2012, Roger Chapman, and Barry Lane with earnings of €189,836 from 14 tournaments this season. 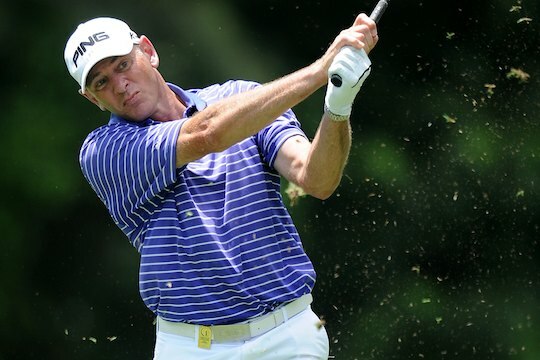 The 1983 Australian Open champion has played infrequently in the United States over a long career but is looking to emulate the path taken by Senior. Senior also played very little of his regular tour career in the United States but has been a prolific money winner in the United States since topping the Champions Tour Q-School at his first attempt in 2009. Fowler played in three of the five majors on the Champions Tour in 2012 with a best finish of tie for 6th in the Senior British Open at Turnberry in Scotland.